Author: Adams, Ansel Set In . . . 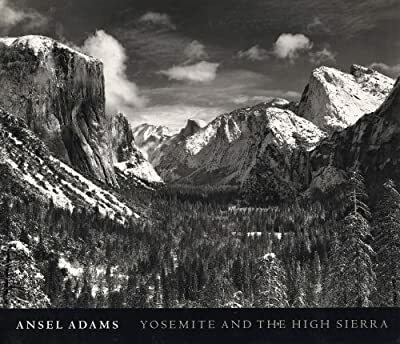 Description: Yosemite National Park and the High Sierra were the places closest to Ansel Adams' heart, and this magnificent new collection presents the finest selction of his photographs and writings yet published on this "vast edifice of stone and space." Inspired by their grandeur, their wildness, and their primeval mystery, Adams' photos came to represent America's National Parks. During his lifetime Adams published seven books of images from this region; this new book brings the best of these early volumes together into a single work. His writings - alive with anecdote and insight - provide a backdrop for these stirring images, and an introduction by John Szarkowski, the most distinguished photography critic and curator of his time, provides testimony to the enduring impact of Adams' Yosemite vision. Yosemite and the High Sierra represents Adams' legacy at its most distilled and timeless.